​​A complex layered chili sauce made from all real, fresh chili and combined with indigenous spice recipes. The result is a truly wonderful hot sauce that adds spice to everything from traditional Vietnamese Banh Mi to New York style pizza. A must have in the taste lovers kitchen! There is so much more to a genuine hot sauce than just cooked chili peppers. The old people understand this and we do it just as they did it. Complementing the punch from the 3 types of chili peppers is the tang of apple-cider vinegar, the sweetness of caramelised onions, the pungency of fine grade black pepper, the aroma of traditional spices and of course; the smokey backdrop. Our sauce isn't made in a day; it is the culmination of months of dedicated work by growers of top-quality fruits and vegetables, and made super-gorgeous by the process of slow-cooking and lots of fire. The unique geographically influenced tastes of the cooler north, the drier centre and the humid, sweet south have been captured in the range of Saigon Charlie's for you to try at home. The predominant Buddhist culture of the long thin country of Vietnam epitomises the external influences on culture and food over the centuries. 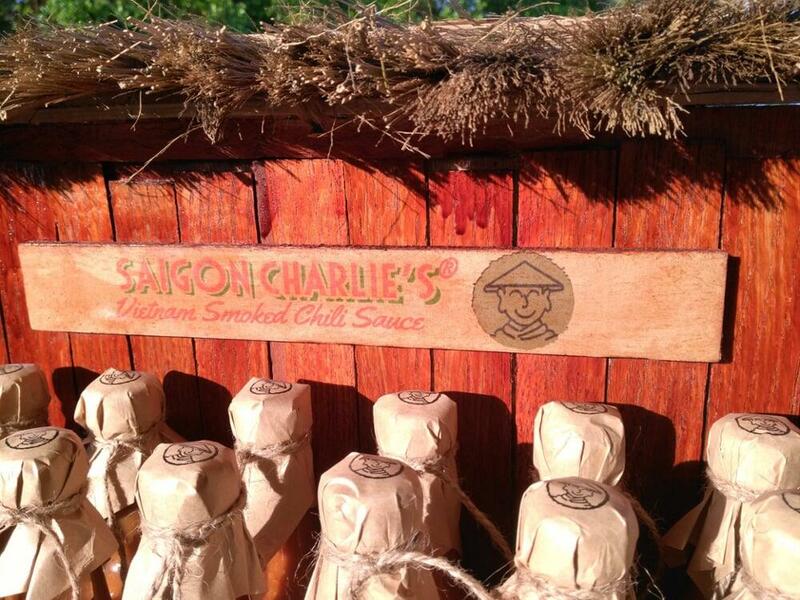 The respect for all living things and the desire to contain the natural world are manifest in the sealed bottle of goodness that is Saigon Charlie's hot sauce. We like it, our family like it. We know you will too! "When you want premium quality hot sauce, and you need natural, and it has to taste incredible - the best chili sauce in the world made in Vietnam is Saigon Charlie's smoked chili sauce"